Our man MOCRE just sent over a new digital illustration entitled “Jaguar judge” representing the fury of nature caused by the human greed and carelessness towards it. The jaguar share a message inspirated in a phrase of Richard Buckminster Fuller (1895 -1983). He was a desinger, architecture, visionary and one of the first enviromental activists. Here’s what he has to say about the piece. if we do not realize that it is a single ship, a common destiny. It will be for everyone or for no one”. 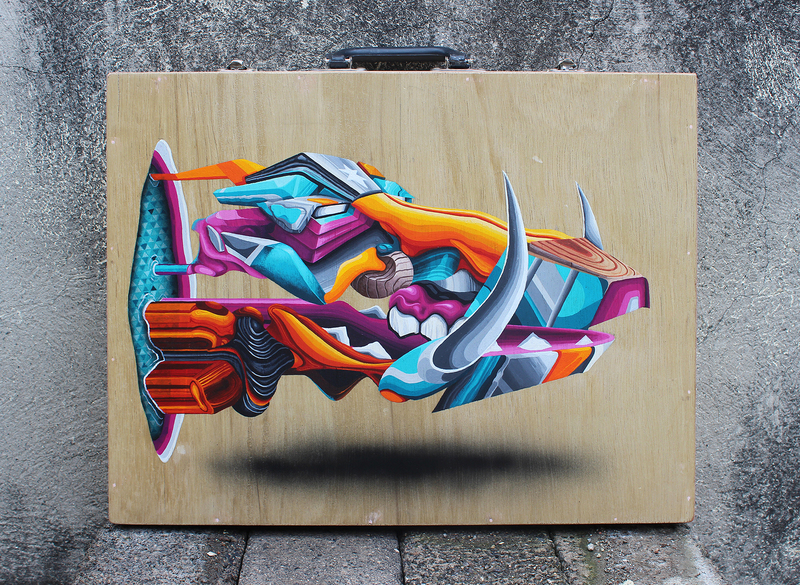 Mocre is a multidisciplinary artist from Mexico. His latest work inspired by the radioactive animals that live in Chernobyl (such as: wolves, deers, bisons, horses, beavers, birds, wild boars among others), represents union of the ambient and wildlife, like a power fusion facing a human error.